This set is perfect for you little meteorologist! 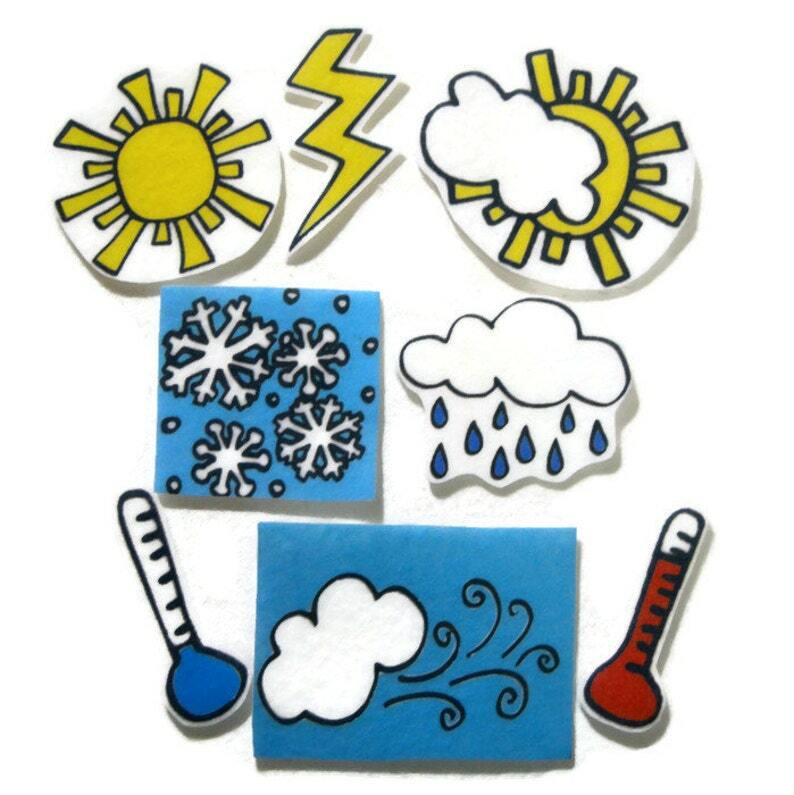 Start the day with a weather report with this felt board set that includes sunny, cloudy, lightning, hot thermometer, cold thermometer, snowy, rainy, and windy. The thermometer measures almost 3 inches.